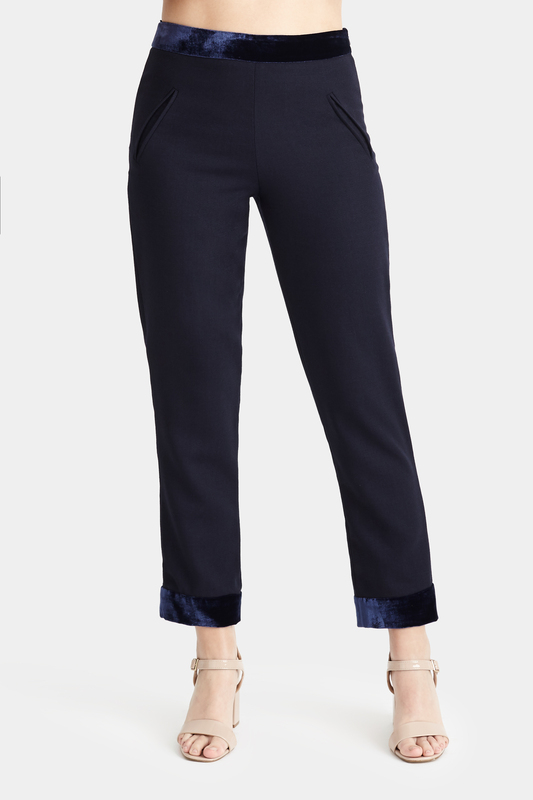 Cut from Italian wool crepe, these classic and versatile tapered trousers with velvet detail at the waistband and hem can we worn with everything including the Orchid coat dress, the Angelica blouse to t-shirts. 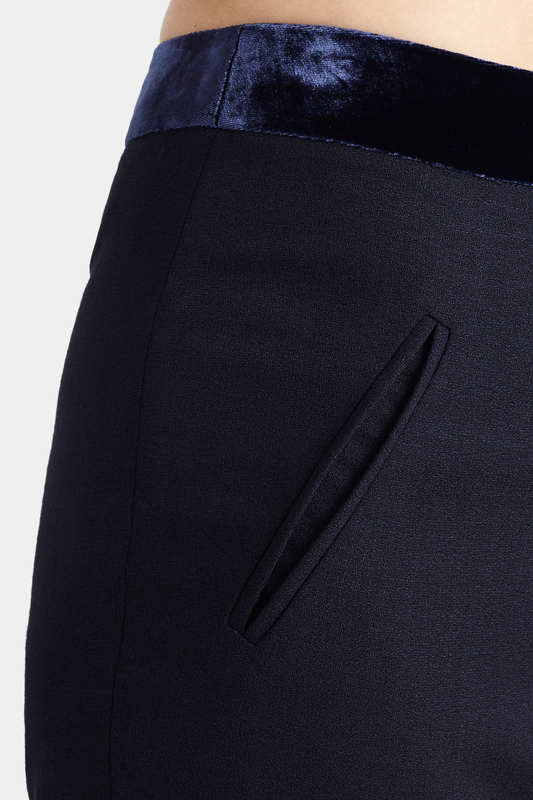 -Tapered at ankle -Velvet waistband and hem -Concealed side zip -Half lined -Decorative jetted pockets. 100 % Wool; Velvet 82% Silk and 12% Viscose; 100% Silk Lining.Dry Clean Only.